Thank you for viewing the latest edition of the Dalton-Whitfield Small Business Newsletter. We hope this helps you locate the resources you need to develop and strengthen your small business. Please do not hesitate reaching out to us should you need anything! The Chamber Banquet was a great success with amazing attendance of 440 people. 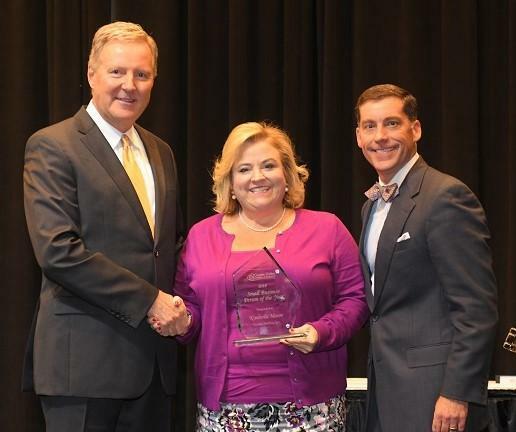 The keynote speaker was Governor Nathan Deal, the Small Business Person of the Year sponsored by the JDA was Kimberlie Mason, Robert Smalley was recognized with this year's Chairman's Award and Barbara Ward was honored for her work in workforce development. Special thanks to Joe Yarbrough and others that honored Governor Deal with the establishment of the "Nathan Deal Scholarship" to support deserving students at Georgia Northwestern Technical College. Be sure to check out the complete album of photos on the Chamber's Facebook page. 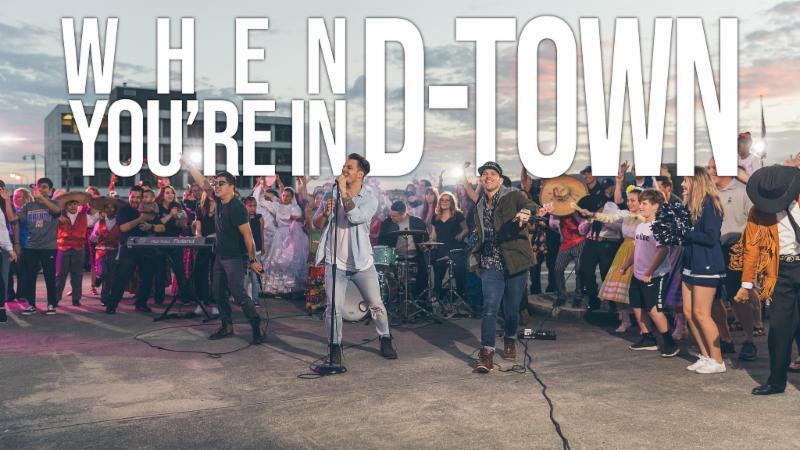 In case you missed the release of the Chamber video at the banquet - you can catch it here ! This exciting event offers nine educational webinars, business mentoring, virtual sponsor booths, networking chat rooms, and a resource center. 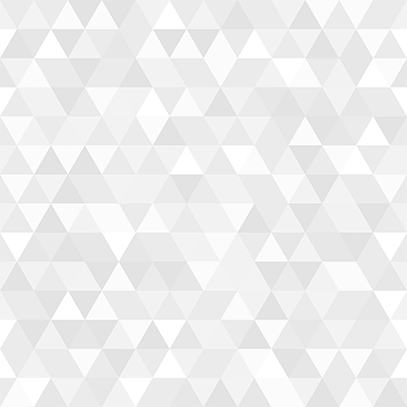 Hear from industry experts, including Google, OnDeck, ComplyRight, Kimco, Nav, and more. Get the information you need to succeed as a small business owner – for free. November 8: Small Business Loan Applications- Why Are They Asking Me That? Some of the questions asked by a loan officer when you’re applying for a loan make sense, but others might not. For example, your personal credit history really doesn't have anything to do with your business’ creditworthiness, does it? Join this webinar to find out how small businesses can find ways to bring in more customers beyond relying on just word-of-mouth. Gain insider marketing tips and inspiration from Amanda Brinkman, Chief Brand Officer at Deluxe and creator and co-host of the acclaimed series, "Small Business Revolution – Main Street." Sponsored by the Small Business Development Center through UGA. 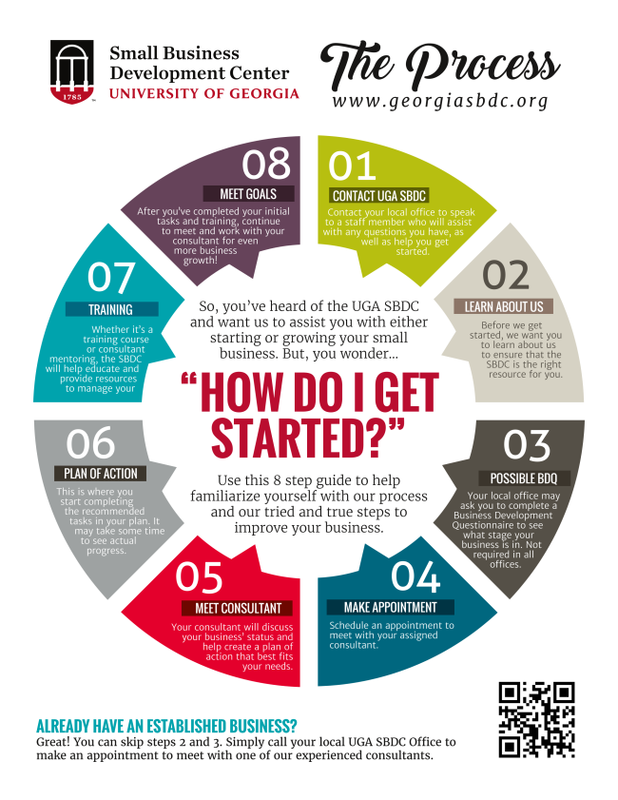 The UGA SBDC offer access to confidential, no-cost, one-on-one professional business consulting for Georgia small business owners who want to grow or start their business. Their consultants have earned advanced degrees in business or management and have extensive practical experience to help both emerging and growing businesses design strategies to make better business decisions and reach their goals.